 Less transfer of impact forces to teeth means better protection against dental injury.  Storage modulus is a very important parameter for mouthguards because it is a measure of how much impact energy can be elastically stored in the material. The SISU material with a storage modulus of 450 MPa, has the capacity to dissipate 10 times more energy in the form of rebound energy than EVA, with a storage modulus of 40 MPa.  Tensile strength describes the maximum stress the material can sustain before failure. The range of tensile strength of SISU material* is at least 30% higher when compared to EVA** which is used in most OTC mouthguards. SISU® is made from a non-compressible, perforated material and doesn't cave in under impact like conventional mouthguards. Using our one-of-a-kind Diffusix™ technology, the impact force is distributed over larger areas, which means less risk of dental injury during competition. TO LEARN MORE ABOUT THE SCIENCE BEHIND OUR PROTECTIVE MOUTHGUARDS, PLEASE VISIT OUR BLOG.